This set is inspired by the work of Vincent van Gogh. The alphabet captures the essence of van Gogh’s handwriting style, using his extensive correspondence with his brother Theo as the primary reference. 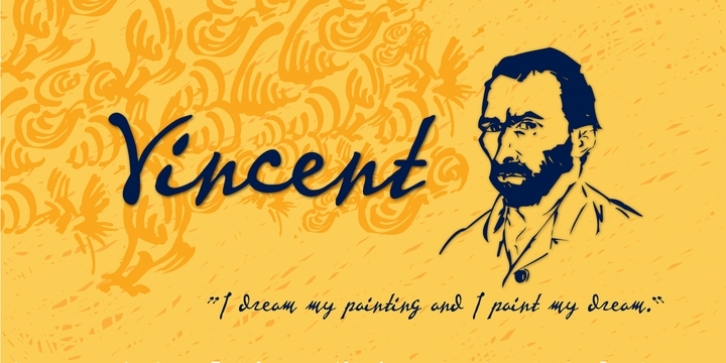 This lettering style presents a bold brush-stroke appearance which bears striking similarities to the painting style of Van Gogh. A full international charcter set is featured. The extras feature selected imagery from van Gogh’s drawing and paintings.